You must of heard dentists saying to replace your brushes every 3 months. Well it’s the same for electric toothbrushes. 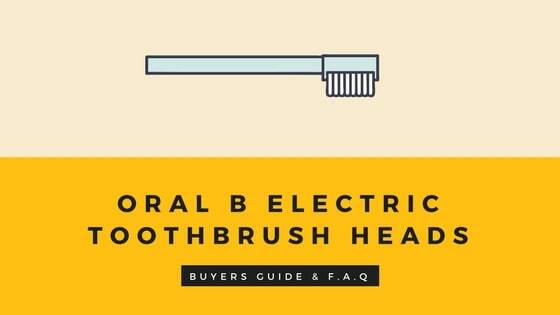 But unlike manual toothbrushes which you throw away, you only need to get the brush head for your electric brush. 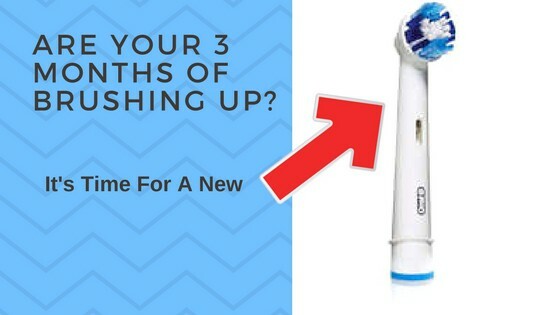 I mean if you replaced an electric toothbrush every 3 months i would think your either a millionaire or just plain stupid. This brush head is designed for deep cleaning and has an oval shaped head as you can see to the right. The big difference between this head and the other ones is the 4 yellow bristles. These are known as micropulse bristles and they help give the head more stiffness which in turn helps to clean inbetween teeth and the gum lines. It is the best plaque removing brush head we have come across and should be a real contendor for people who have spaces inbetween their teeth. This brush head is best suited to the daily clean mode but it doesn’t matter too much as all the cleaning modes wll do the job sfficiently. The main difference between this head are the bristles which are angled at 16 degrees as you can see below. Oral B state that this criss crossing of bristles at an angle gives a wider cleaning surface area and so most of the tooth will get cleaned. It’s also a mix of soft and hard bristles which people have said is a good combination as it cleaned really well without being too harsh on the gums. This brush head as you can tell by it’s name is focused on giving you a whiter smile. It does this through it’s design which is very similar to the floss action brush head but in the middle you will find a rubber polishing cup. It’s main job is to give the tooth a nice buffer and shine, keeping the teeth nice and white. We would say use this brush occasionally just to maintain the white smile becasue when it actually comes to cleaning the teeth, the other brush heads do a superior job at removing plaque and food debris. This brush head looks quite different to the others, it reminds you of a manual toothbrush head. There’s 3 parts to it: the white bristles, the light blue and the dark blue bristles. The white and the lighter blue bristles move back and forth to clean the teeth. The dark blue bristles will pulsate giving you an all round clean. This head is best used with the daily clean mode. If you are someone who doesn’t like the rotating brush heads then this could be for you. 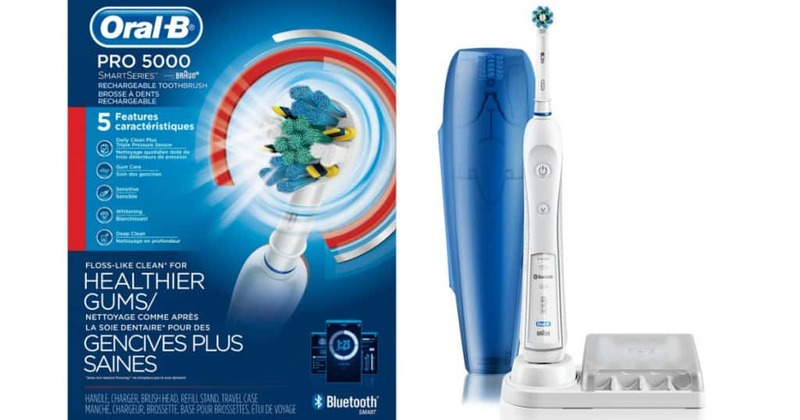 Other users have also found this brush to be more gentle on their teeth and it gives users more choice which is great on Oral B’s part. This is one of the smaller brush heads going around and in comparison to other heads, it’s bristle alignemnt is much flatter across. As the name suggests it’s primary focus is to be gentle on the teeth and gums for people who have discomfort. 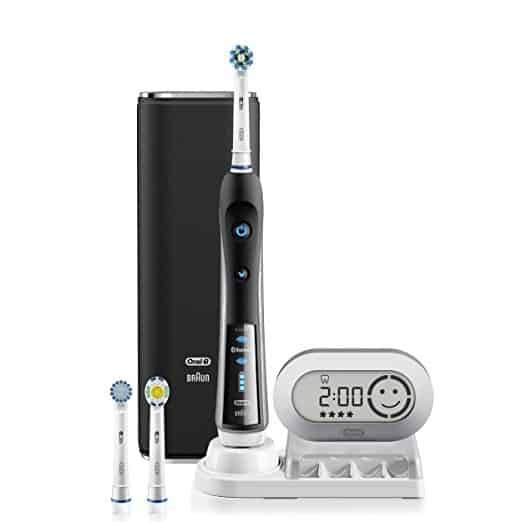 It’s designed to keep a nice consistant cleaning motion across the teeth and gum lines. The only criticism would be it’s flat across bristle arrangement does not adapt to the tooth’s shape as well as some of the other cupped ones do. 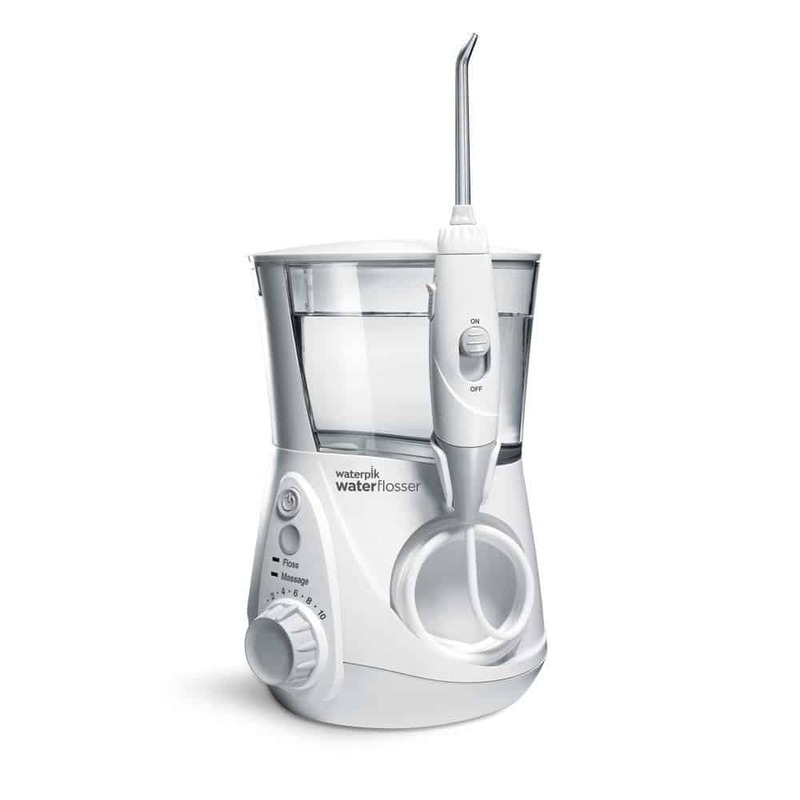 This brush head has the ability to remove 5x more plaque and is one of the smaller heads on the market. You have different bristles of different lengths that cup the tooth and get inbetween them and along the gum lines. It’s actually the best at cleaning along the gum lines according to Oral B. How Often Do Brush Heads Need Replacing? This might be true but the changes to the bristles are very subtle and you don’t want to keep continuing as it could start to damage teeth rather than cleaning them. Just make sure when it comes to the 3 month period, you don’t see any significant wear and tear and make sure to monitor the health of your teeth. Another thing that i forgot to mention is that the colour on the bristles are indicators, in other words the bristles when you first use them will be fuller in colour but overtime this colour will start to fade. This can be your guide to tell you when to start thinking about replacing your brush heads. Counterfiet Brush Heads – How Do I Spot Them? The most imprtant thing is if there isn’t a referance number on the brush head packaging… It’s most likely a fake and if the oral b logo can be easily scrathced off, you my friend have a fake on your hands. That’s not to say that the counterfeits will be completely useless but in general their quality will be below par and they will tend to break very easily. You might aswell buy the real thing as they will last you longer and save you money in the long run. The most trusted retailer of 2017 and 2018 was and is AMAZON. It is used by millions of people everyday and has it’s own refund policy so if you are dissatisfied with your purchase you are eligible to return it. I personally like this because you get a variety of choice and all these brush heads are really good at cleaning your teeth, which is the main concern here. I hope we have helped you out with distinguishing between different brush heads and their uses and hopefully this will enable you to make an informed decision on what to go for, depending on your specific problem areas. If you have any questions or other queries please leave a comment below and we will get back to you as soon as possible.